The Australian War Memorial Annex by Enrico Taglietti Photo: Darren Bradley. If you live in Canberra, and are a follower of architecture and design, you will no doubt know Enrico Taglietti. As part of this years Design Canberra festival, Dr Taglietti is being honoured for his influence on the Nation’s Capital with a symposium, exhibitions and other events. Thor took part in an exhibition The void: reimagining Enrico Taglietti, along with 15 contemporary designers and makers to celebrate Enrico’s legacy and contribute a new perspective to his aesthetics. On now until December 15th at Craft ACT. Design Canberra is holding a symposium on Taglietti’s practice on Friday 16th November at the National Gallery of Australia. This will be a chance to hear from the man himself, and full details and tickets can be found here. Born in Milan, Italy 1926, Dr Taglietti moved to Canberra in 1956, where he has made a profound impact on the architectural landscape of our city. He came to Australia with an exhibition of Italian Design, held at David Jones in Sydney, and visited Canberra to find a site for the Italian Embassy. He designed the Italian Embassy, and has remained here ever since, adding his unique sculptural, angular architecture to our city. In March 2007 Enrico was awarded Australia’s most prestigious architecture prize—the Royal Australian Institute of Architects (RAIA) Gold Medal for Architecture. 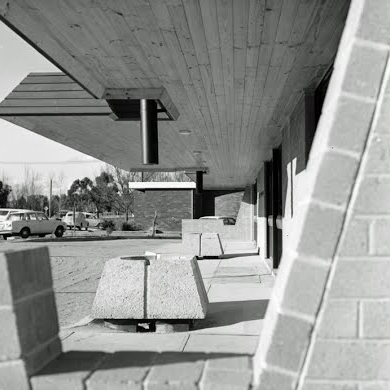 Clockwise from top left— The White Eagle Club, Lyneham, Giralang Primary (photo: Tim Ross), interior of Giralang Primary School, 1975, The Polyhedrica chair in production at Thor’s Hammer. In 1954, Enrico Taglietti designed a chair, table and bed for a home in Milan, which were featured in the architectural journal Domus. The chair was called Poliedrica and it went on to be included in the 1954 Milan Triennale furniture exhibition, with the rights to manufacture acquired by Altamira, an American company based in New York. The original Poliedrica centre, flaked by two Polyhedrica chairs. Thor’s Hammer has been privileged to work with Enrico on many interesting projects over the years. 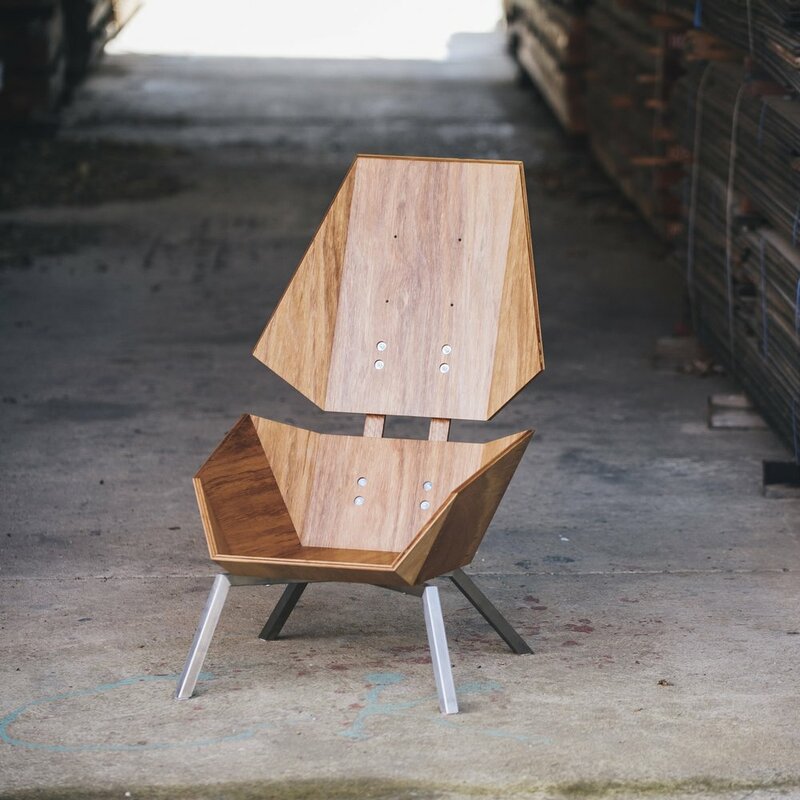 In 2014, we collaborated with Enrico to develop a new chair that would pay homage to the original. Enrico’s new design - Polyhedrica 2014 - used modern materials and construction, with an emphasis on timber designed to be light and strong. With Taglietti’s signature angular geometric form, a limited edition run of 5 chairs was made in two variations: in natural fabric with a black design, and the inverse. One of these chairs was purchased by the National Gallery of Australia. If you would like to enquire about a chair, please contact us for further details here. Two chairs and the Crucible table will be on display during Design Canberra at Eastspace Gallery, Reconciliation Place.